Saudi to Ditch the Dollar? Saudi Arabia has threatened to begin selling oil in non-U.S. dollar-denominated currencies if the US passes the No Oil Producing and Exporting Cartels Act (NOPEC). The NOPEC bill aims to undercut the power of OPEC by removing their sovereign immunity and allowing them to become subject to U.S. antitrust laws. Although a U.S. House of Representatives committee recently approved the bill, the US Congress is unlikely to pass NOPEC legislation. However, if Congress passes the bill, US President Donald Trump would likely veto it. Whilst for decades Saudi’s oil reserves has been a source of strength, the reality is its dependency on the black gold is also a liability as oil prices are priced in dollars and the dollar is not Saudi Arabia’s domestic currency. In a landmark ruling, the World Trade Organization said countries can impose trade restrictions to protect their national security interests. However, the WTO reserved the right to judge whether a certain national security threat qualifies. The ruling has direct consequences for the tariffs the US said it was putting in place to safeguard its national security. It’s the first time the WTO has ruled on national security issues, and a day before the ruling the organisation’s director-general, Roberto Azevedo, said that while sensitive questions like national security should be handled at the political level and not through a technical trade dispute mechanism, he acknowledged that the WTO had no choice but to address the case filed before it. Following years of debate, the Trump administration has designated Iran’s Islamic Revolutionary Guard Corps (IRGC) as a “Foreign Terrorist Organization.” This is the first time that the US State Department has listed a branch of a foreign military as a terrorist organisation, setting an important international precedent. 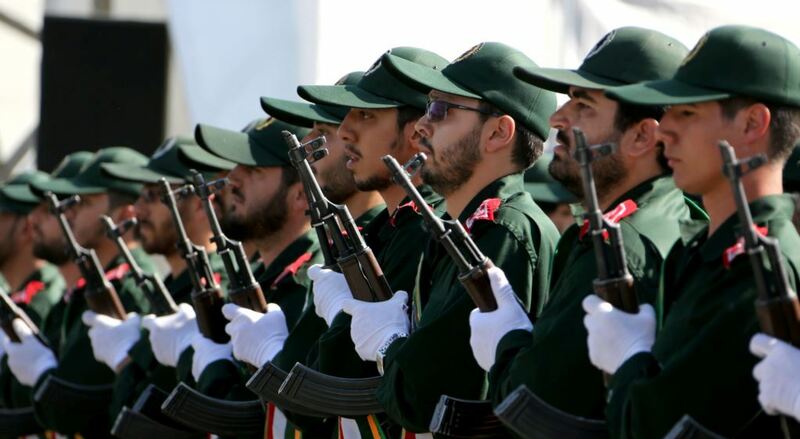 Iran responded in kind the same day, designating the United States a supporter of terrorism and U.S. Central Command (CENTCOM) a terrorist group. The designation of the IRGC is the first time the US has labelled an entire unit of a foreign military a foreign terrorist organisation. It is debatable the impact this will have as the new sanctions do not fundamentally alter the reality of existing sanctions. The nature of the sanctions against the IRGC means foreign companies must conduct thorough checks when working with Iranian companies to ensure the latter have no ties with the IRGC lest the foreign companies incur US financial penalties. US-Iranian cooperation in Syria and Iraq is now a distant memory, the US needed Iranian help, it’s not prepared to share the region with it.